The blockchain is an encrypted, distributed database shared across multiple computers that are part of a community or system. What makes it one of the most exciting technologies around is its ability to reduce the possibility of security breaches by even its own operators. Across different industries from financial services to supply chains, healthcare and many other industries, innovators are exploring ways to use blockchain to disrupt and transform traditional business models. Industries have achieved significant business benefits, including greater transparency, enhanced security, improved traceability, increased efficiency and speed of transactions. The financial services industry is leading in exploring the usage of blockchain technology for cryptocurrency transactions. Recording transactions through blockchain virtually eliminate human error and protect the data from possible tampering. Blockchain has the ability to increase secure data exchange in other industries as well. It also has the ability to make that data transfer simpler and easier between entities. Blockchain technology makes transactions fast and easy, and it has the potential to do more than just cryptocurrency. The blockchain has already changed the payments, and many banking services have started showing their confidence in the blockchain. Large banks are increasingly conducting tests of decentralized asset technology and implementing blockchain in business processes. Blockchain technology provides a way for untrusted members to come to the agreement on the state of a database, without using a middleman. The growing popularity of cryptocurrencies and the ICO boom have shown the fact that many big financial organizations no longer deny the potential of blockchain technology. Due to the complexity and lack of transparency in the current supply chain industry, there are a lot of opportunities for how blockchains might transform the supply chain and logistics industry. It can be applied to many challenges of the Supply Chain industry face such as complicated record keeping and tracking of products. One of the most appealing benefits of using blockchain for data is that it allows the data to be more interoperable. It became easier for companies to share information and data with manufacturers, suppliers, and vendors. Transparency in Blockchain helps reduce delays and disputes while preventing goods from getting stuck in the supply chain. Patients can benefit from supply data stored in a blockchain, also they can access real-time information about any drug from production to arrive at the pharmacy. This approach will also give patients diagnosis and treatment-related benefits and maintaining data security in case unintentionally share, or companies gain access to, more data than is desired or intended. The real estate market has many limits, including a lack of liquidity, as well as a difficult ecosystem that could be smoother. As such, blockchain technology has the potential to unlock the future of the real estate market. Blockchain technologies are poised to transform the real estate industry by drastically reducing fraud, reducing paper waste, minimizing mistakes, increasing transparency allowing for better and more integrated records. Due to the complexity and the associated lack of transparency, many real estate transactions cannot be realized without helpful middlemen. Smart contracts are increasingly reshaping in the blockchain industry. The function of smart contracts is to eliminate the middleman from the equation. The world of advertising is worth billions of dollars and it has become an important part of any type of business available and plays a role in driving the data market further. According to one recent study, up to 7.6 percent of all display ad impressions in 2017 were fraudulent. Currently, almost half of all ad traffic is generated by bots. A number of brands pay a lot of money to reach their potential customers, it does not guarantee that they will actually make any sales. Possibly the most immediate impact blockchain will have is on digital display advertising, something that makes up a significant portion of all online marketing activity. With Brave and BAT, which is powered by blockchain technology, are aiming to break up the current holding on digital ads, however, there’s a real potential to change the way that people interact with these ads in the first place. Almost everyone is aware of the blockchain technology due to its use with bitcoin and various cryptocurrencies. What the future holds for blockchain technology is uncertain. The possibilities are infinite and increase in popularity, poised to be used in a more innovative way to make human life safer & easier. In today’s competitive industry, all the organization wants their workplace to operate smoothly and without any obstacle. Companies often find that their staff is lacking in certain areas and skills that can affect the core of the business and another serious problem for any company is being understaffed. This influence the several areas of business and effects on growth of the company. As the job market continues to be competitive and job seekers show more diversity in skills and expertise, businesses and companies need to catch up with the current situation and be flexible with change. In order to keep businesses moving efficiently, companies need to hire staff strategically. Staffing solution is the traditional management function of attraction and selection of the best people and putting them on a job where their talents and skills can be best utilized. It allows you to find someone with the right experience, and skill set. Hiring a person with specialized skills and experience allows you to get a project up and running without spending a lot of time in training. They are often used to working in different locations, for different personalities, for varied periods of time. Staffing solutions come in a variety of forms to meet specific client needs, from short-time projects to full-time hires. The main purpose of staffing solution brings together job seekers and potential employers for the purpose of establishing a permanent employment relationship. Startups & small businesses often think recruitment outsourcing is just for multinational companies, but staffing solution provided by the staffing solution is used companies to save money on recruiting processes while building their business and focusing on their growth. The objective of staffing is to help companies to bring people with required skills into the organization and develop them into a valuable organizational resource. Even if your company is in a very competitive business where it’s hard to find qualified employees, a staffing service can give you access to more skilled candidates at lower cost than if you do the in-house recruitment. There are a lot of other benefits like getting a number of employees quickly and knowing that they are qualified for the position for short-time projects and special projects. Our staffing solution is to help you fill the position quickly. Additionally, with access to larger networks of skilled employee and variety of staff. Our goal is to pair the right employee with the client company. Recruitment, selection and placement of employees in the right places and at the right time, doing things which result in the organization, individual employees and the society at large receiving maximum long-run benefits. We are living in an era of continuous emerging technology world, and everyday technology is heading to its next level of innovation. Every day our many small tasks depend on technology from booking our cab to ordering our food from the favourite restaurants, and many more. But what if we don’t have to worry about doing these tasks by ourselves when every particular task will be done by our virtual assistants. That is the promise behind the bots technology. 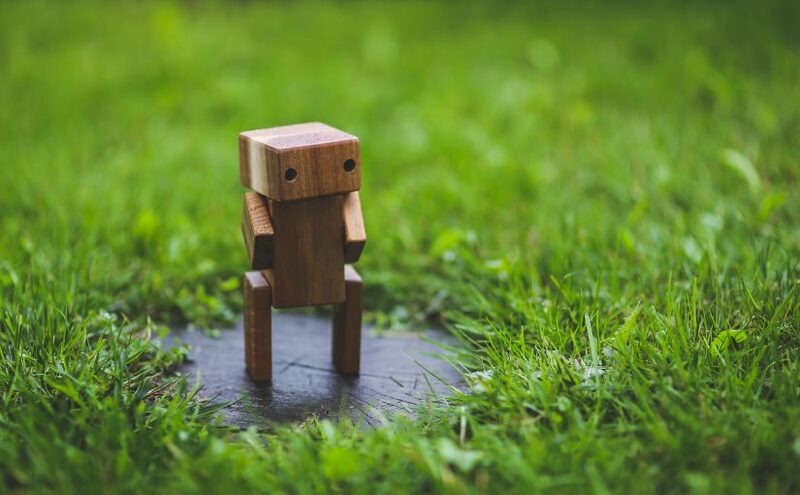 Bots are a software application developed with Artificial Intelligence technology that can complete different tasks in an automated way, without the human intervention. Such as making your reservation in restaurants, reminding you of your appointments. These virtual assistants can answer questions and help you get things done faster without needing to speak to another human. The most increasing form of bots that we can find are chatbots and we often find these, live inside in many messaging apps. These chatbots are designed in a way to provide a quick and useful answer to user questions to give the user a feeling that they are chatting with a human. The boats we’re talking about being much like Alexa, Siri, and Google Assistant which can communicate through chat or speech. These virtual assistants are smart to enough to help us with small tasks and answers to our questions like weather information, adding reminders to the calendar, searching our queries on search engines and many more things that these bots can perform. Apart from these virtual assistants, bots are using many other forms, search engines like Google broadly use bots as web crawlers, to analyze content and index the web. Social bots like Twitterbot is used to produce automated posts on the Twitter. Bots technology is making a far-reaching impact. AI and bots are the future of business and each representing technological advances. It will bring changes to the various aspects of the businesses, changing the way companies interact with their clients. As of now, bots run as isolated scripts on a website or in messing apps. No longer have bots come to be seen as agents similar to human to handles bots the same way as human staff, in contact centers and other job roles. At Gloify we flourish with technology and believes that the new evolution of technology will make our lives more efficient and this advanced machines will help us to make our work better and faster. We follow the trend and we are ready to go with the advanced technology by providing services in bots technology with our expertise & skilled team of developers. We have been developing various applications with different technology, for more information check out our portfolio. One year in Business !! A year back Gloify begins as product development startup in Bangalore, which has now transformed into full-fledged IT and Software development organization. With the growing technology and opportunities, we have a team of engineers and entrepreneurs from IIT with a strong background in product development, building large scale systems, research in state-of-the-art machine learning and analytics in market intelligence. Our team of experts has specialized in different areas to meet the requirements in different projects, with their collective experiences managed to bring in the right kind of leadership and expertise that is required to grow a company and convert it into a bankable brand. The world of internet is turned in to the small global village with its advanced technologies, and we have all latest and innovative technologies Frameworks and Software architecture to provide extensive and quality development services to our clients and identify the exact requirements of the client and develop the product with the great strategy and planning. The work culture at our organization is a combination of qualities that offer a positive ambiance and a healthy work environment that leads to satisfied our employees and help them increase their productivity. We are very partial when it comes to treating our employee and we treat each employee as one. We praise employees on their every small to big achievement at work by giving them a pat on their back. We have employee friendly policies and practical guidelines and everyone has the liberty to express their views and we appreciate them for their ideas & contribution towards work. It is a marketplace platform for the fleet operator and shippers for making their shipment daily loads for easy through this convenient platform. It is a comprehensive, data-driven sales readiness platform on the market, and it offers a modern, engaging experience of on-boarding boarding, microlearning, and skills development. It is a fantastic platform designed for all your pet needs. Where pet parents can purchase food and accessories for their pets. It is an interior design marketplace, and it was established to connect the end customer with the designer. Fintech is multi-role fully enabled company of our client that providing a working capital loan to SME borrowers. It is a Smart Cloud-based Invoicing and Inventory application with an easy to use interface and advanced data. This is a logistic Software Platform that includes Cargo Partner, This platform gives an end to end solution for logistic needs which includes Real-time tracking, smart route optimization. A unique housing concept created for students, moving to a new place to pursue their dreams. Posted on June 14, 2018 June 14, 2018 Author Abhishek RaoCategories blog, Technology, Trending Tech, UncategorizedTags Lean Software Development, MVP, Outsourcing Company India, Startup, tech trends 2018, technology trends 20186 Comments on One year in Business !! Ruby on Rails, or Rails, is a server-side web application framework written in Ruby under the MIT License. Rails is a model–view–controller(MVC) framework, providing default structures for a database, a web service, and web pages. The framework was developed by David Hansson on 13th December 2005. 1 – Time Efficient – With lot’s of ready made plugins available, developers do not need to waste so much time in writing their own boilerplate code. It is proven that the teams that use RoR for developing their application are 30% – 40% faster than the teams that use another programming languages or frameworks. 2 – Consistent – Developers follow standardized file storage and programming conventions that keep a project structured and readable. It also saves plenty of time. 3 – Cost Effective – The framework itself is an open source under MIT license, that means that you need not spend any single penny to use it. Gems let you add features without developing them from scratch, resulting in Saving time for developers. Gems can be downloaded from Github, a platform where developers can find all the open source projects. 4 – Excellent quality and bug-free development – Ruby on rails encourages Test Driven Development ( TDD ) and behavior-driven development ( BDD ) approaches. One of the famous test suit for RoR is Minitest tool which provides many useful testing features including expectation syntax, test benchmarking and mocking. 5 – Supported – There is a majority of blogs and books, meetups and conferences in the Rails world. 6 – Secure – Some security features are built into the framework and are enabled by default. Using RoR means following the Secure Development Lifecycle, which is complex security assurance process. Posted on March 7, 2018 Author Abhishek RaoCategories blog, Technology3 Comments on 6 Kickass Advantages of Using RoR for an Startup !! Today we are going to talk about the most Trending Technologies that everyone is talking about and will acquire a huge market in 2018. Lets Start !! Any test job in a industry involves a task that is repeated in nature and can be automated. RPA allows you to do such repetitive task, hence RPA can boost overall productivity of the company by saving their time and money. Some of the features would be: NO CODE REQUIRED, AUTOMATE ANY REPETITIVE TASK & COST SAVING. It can be implemented through various tools, some of the best tools available are UiPath, blue prism and Automation Anywhere. Popularly known as I-Apps. I-Apps are the pieces of software written for mobile devices based on artificial intelligence and machine learning technology for making the everyday task easier. This involves task of organizing emails, scheduling meetings etc.Some of the examples would be ChatBots and virtual assistant. IOT is about connecting objects in your environment via intelligent sensors and enabling them to send and receive data. This includes everything from your mobile phones, refrigerator, washing machine to almost everything that you can think of. With IOT we can have smart cities with optimising traffic system, efficient waste management, and energy use. IOT is basically a giant network of connected devices all of its gathers and shares data about how they are used in the environments in which they are operated and by doing so each of your devices will be learning from the experience of other devices as human do. IOT is trying to expand interdependence of humans i.e Interact, Contribute and Collaborate to Things. DevOps is not a technology, it is a methodology that ensures that both the development and operations go hand in hand. It is a software development strategy aimed to eliminate the SILO between development and Operations. It involves continuous development, continues testing, continues integration, continuous deployment and continues monitoring. Some of the features will be shorter software development life cycles, improved quality of software produced, improved work environment etc. Popular tools of DevOps are git, jerkins, puppet, docker, stack and many more. It is one of the most trending technology as it allows the company to save a lot of money and simplifies the life of a user. Day by day the companies are shifting their infrastructure to the cloud, the reason for that is it is very fast and scalable, access from anywhere, no upfront cost and provides better security. Some of the providers of the cloud services in the market are Amazon Web Services, Microsoft Azure, Sales Force, IBM, Google etc. Virtual Reality is an artificial environment that is created with software and presented to the user in such a way that user suspends belief and accept it as a real environment. VR is a computer-simulated environment that you can walk around and interact with. Similarly, Augmented Reality combines virtual reality with the real world in the form of live video imaginary. Both of these AR and VR has numerous Real life applications for example like famous game POKEMON GO uses AR technology. Big data has affected the IT landscape beyond any imagination. Big data refers to a problem that is associated with processing and storing different types of data. Most of the companies in today world rely on big data analytics to gain huge insight into their customer, product research, marketing initiatives and many more. It can be used in many domains such as in Retail, Insurance, Healthcare, Banking and Finance and many more. BlockChain is the technology that runs BITCOIN. BITCOIN is the world’s first digital cryptocurrency and that is the future of the economy. Some of the features that BlockChain technology has are Distributed Data Storage, Hash Encryption, Consensus Mechanism, Immutability. Artificial intelligence is not something new. It was coined for the first time in the year 1952 by John McCarthy, but due to lack of data and computing power it wasn’t feasible at that time, but now with enormous amount of data and great computing power, AI is possible and especially with the advent of technology like deep learning and machine learning. AI is basically creating intelligent software, making a machine that is smart, a machine that has the power to think, analyze and make decisions based on a huge amount of data that we have.Some of the Applications that AI is being used in are Education, Aviation, Finance, HealthCare etc. By this, we come to an end of 10 Technologies that you can boost you up in 2018 !! Good Luck !! Posted on January 23, 2018 February 15, 2018 Author Abhishek RaoCategories blog, Technology, Trending TechTags tech trends, tech trends 2018, technology trends 2018Leave a comment on Top 10 Technologies !! GLOIFY, a software development company in Bangalore is a full service design and development agency with high performance team having experience from their respective fields. We help new startups in making scalable and stable products. We help them in building market strategy, pricing, fast and scalable tech stack and developing time. We make sure the products that we deliver are easy to use and mobile responsive for our client’s customer base. After developing our highly experienced QA engineers automate the product from start to end to give a complete bug free experience. Naveen Kumar – 9 years of experience in stable product creation and passionate about crafting clear, engaging software. B Tech from IIT Bombay. Shobhit Gupta – Passionate about building products and believes in solving problems using technology. Builds product in ASP.Net/Java/Ruby/Python. Sujeet Singh – A highly passionate professional having more than 11 years of sales experience. He holds a Masters Degree (MBA in Sales & Marketing). Worked with a start up as head of sales. Arunoday Tiwari – Designs and implements complex software systems. B. Tech from IIT Bombay. He brings his knowledge of Ruby on Rails, API development and data modelling to the table. Sunny Sharma – Solving business problems efficiently and constructively using technology is his expertise. Builds product in Node.js/PhP/Ruby/Python. Are you looking for a technology partner for your Idea? contact us at contact@www.gloify.com or schedule a skype call.